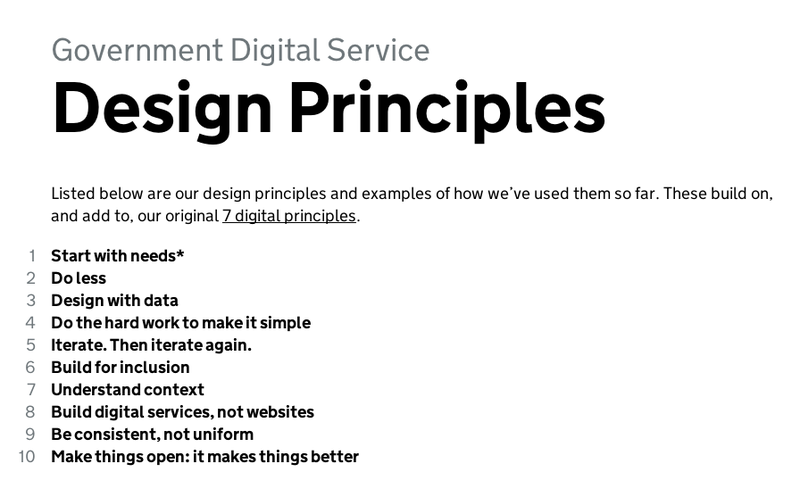 The following link (https://www.gov.uk/designprinciples) expand on these points in more detail, and it is clear from them that government public services are being designed for digital formats with a very explicit focus on users needs. And not just the needs of those who use the web already, but everyone in the country. These are obviously very positive principles for the design process of a national public service infrastructure that affects such a large audience. The only downside to these guidelines, is that of principle six: build for inclusion. Building inclusive digital services is a complex challenge, and it will take more than the sacrifice of ‘elegant web design’ to solve it. Though some people do struggle to navigate web pages due to poorly designed web interfaces, this is not the only reason why a potential user could struggle to use a digital service. Most of those excluded from digital technology are from specific groups of society who have specific additional support requirements when accessing a service. Principle six of the GDS guidelines does not mention the addition of any type of assistive webpage functions, rather it only talks about the layout and aesthetic of a webpage. It’s not inclusive enough.